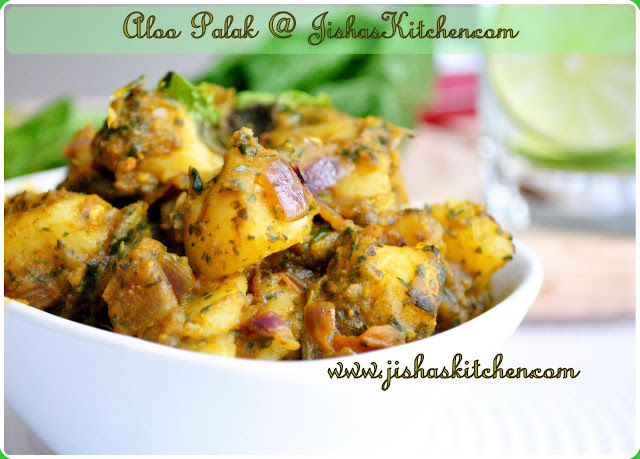 Today I am sharing the recipe of Aloo Palak which is a great dish that goes well with chapati and rice. First cook potatoes by adding enough water and little salt for about 15 minutes. Allow it to cool and then peel the skin of the potatoes and cut it medium size square pieces. Then take spinach and wash it properly. Then put spinach in hot water for just 1-2 minutes.Not more than that. Then immediately put it in a colander and place it under cold running water for less than a minute and keep it aside. Then coarsely grind spinach, garlic and green chillies by adding 2-3 tbsp of water. Heat oil and add cumin seeds. When it pops up, add chopped onions and saute till it become soft. 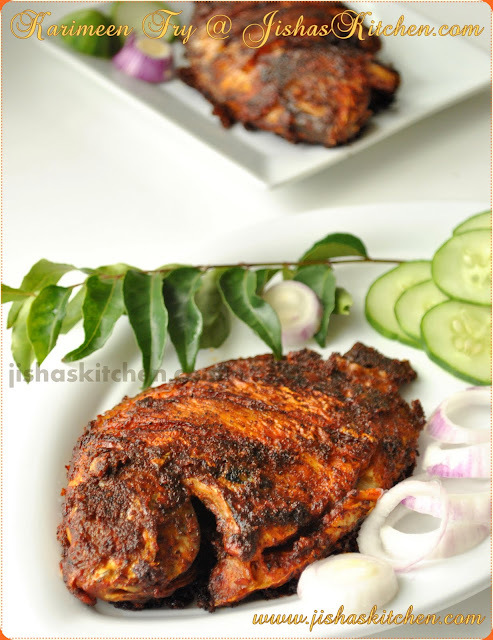 Then lower the flame and add coriander powder, chilly powder , garam masala and turmeric powder and fry for less than a minute. Add chopped tomato and fry for another 2-3 minutes. 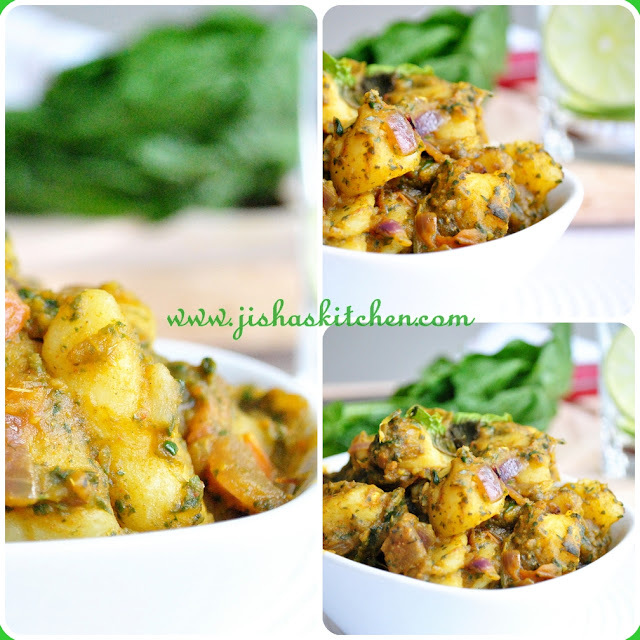 Then add ground spinach mixture followed by cooked potatoes, salt and 1/4 cup water and cook covered for about 10 minutes in medium low flame. Do stir in between and make sure it doesn't stick to the bottom of the pan. Finally add lemon juice and chopped coriander leaves and remove from the flame after 1-2 minutes. 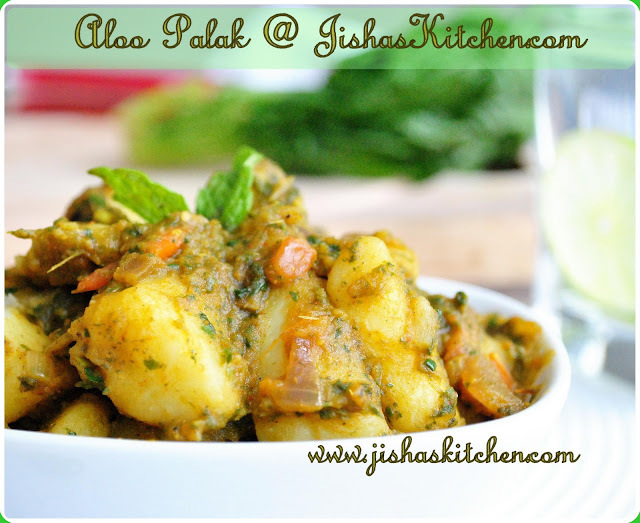 Aloo palak looks delicious. nice recipe. 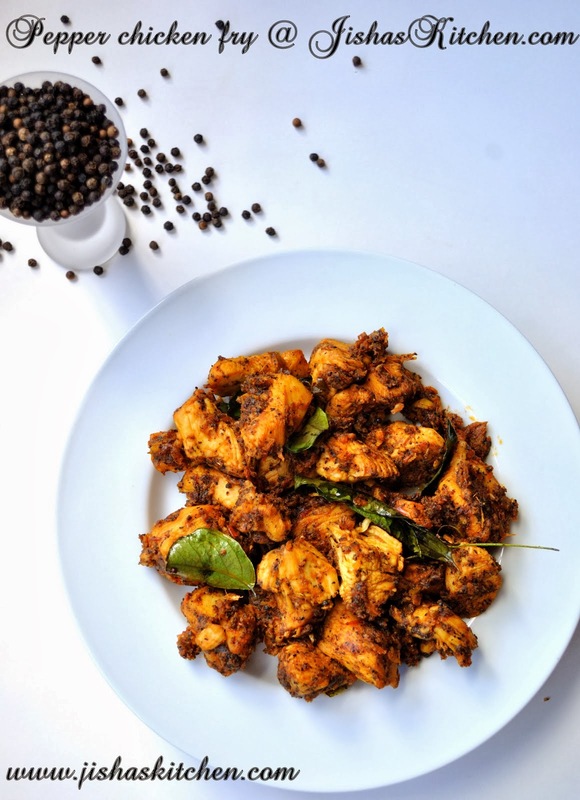 Very interesting style of cooking, healthy and yummy combo. Happy New Year! Yummy combination and lovely clicks..
Have a great n prosperous 2011 dear!! Have a safe and healthy New Year Jisha!